When was the last time you said to yourself that you are so tired and just want to rest all day? For a stay-at-home mom like me, I say this to myself everyday! With all the household chores need to be done plus blogging in between, I wish I have a helper physically and virtually. This is my daily routine and there are times that I want to have a day off both at home but it's not an easy thing to do because no one will wash the dishes, do the laundry, and other dirty jobs at home. What the busy millenials and (tired/working) mommies need when they are always on the go as help is right at their fingertips! 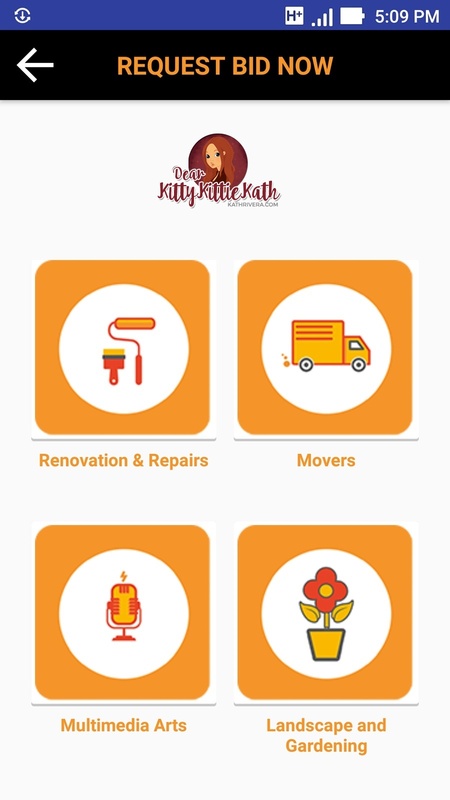 It is a company that offers various household and specific services through an online platform aimed to prove a fast, efficient, and economical solution to the house hold requirements. With Partner Service Providers, they will be able to provide various types of service providers to the household anytime an individual needs it. 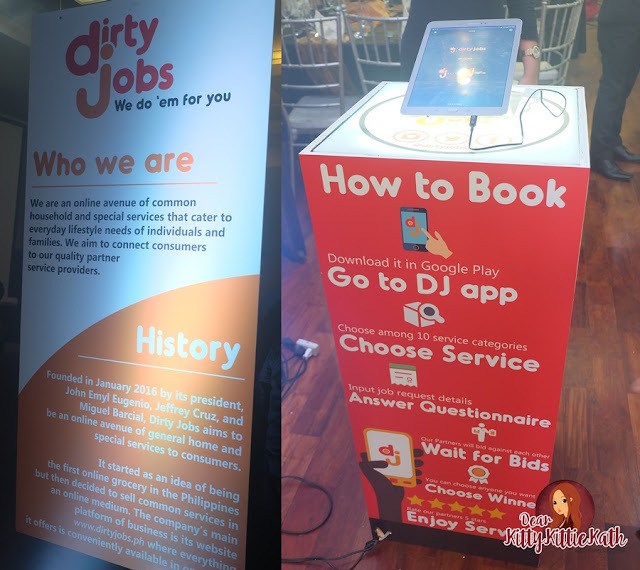 Dirty Jobs PH App was launched last September at Dolcelatte in Quezon City. This is the brainchild of friends Emyl Eugenio, Jeffrey Part Cruz, and Miguel Barcial. Their aim is to provide fast, efficient, economical, and excellent solutions to the requirements of a household. In short, they want us to sit back and relax as the selected service providers do the dirty jobs in the comfort of our home. 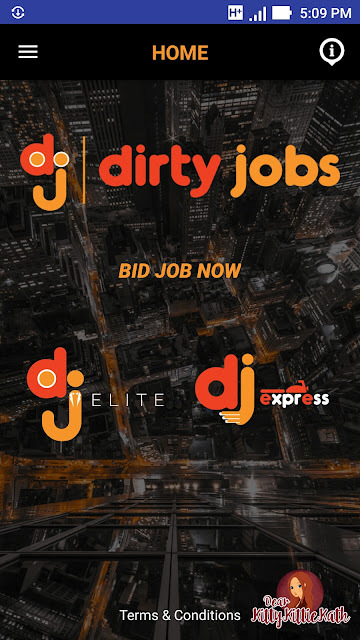 How Dirty Jobs App works? 3. You can now choose from the services I've listed above. 4. After choosing a service, it will take you the the terms and condition section of the app. Click accept. 5. Upon clicking, you'll see a form that you need to fill out. All the basic things that you need in a specific service will be asked there. All you have to do is tick a circle or provide a brief answer to the questions regarding the service/s you'll be booking. 6. You also have to place how much is your budget plus the date and time of service requested. 7. The bidding process will proceed after choosing the time (5 hours minimum) and dirty jobs team will look for available service provider. 8. 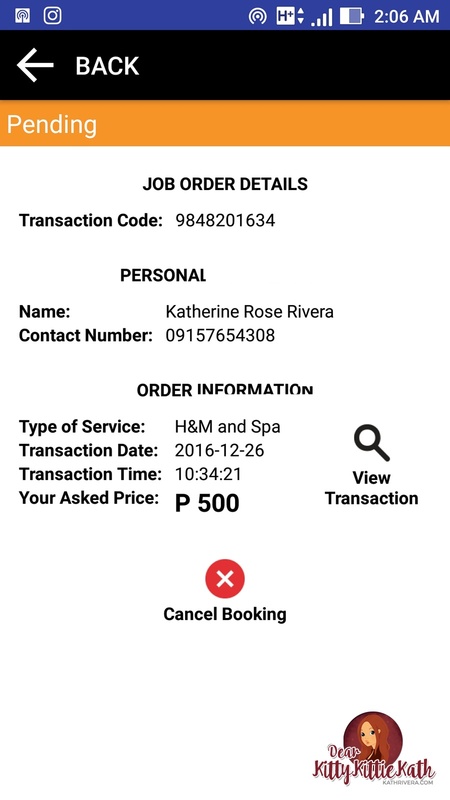 After submitting all the information needed, dirty jobs will send an SMS for confirmation of your request. 9. If the bidding is successful, another SMS will be sent and you'll be asked if the bidder is okay then they will provide the contact number of the bidder (service provider) who accepted the bid. 10. Then that's it, just wait for the service provider to arrive in your doorsteps and let them do the dirty job/s for you! Holidays aren't over yet and my body is so tired from the parties, reunions, and shopping that we did these fast few weeks. I'm lazy to go out for a massage and I'm thankful that dirtyjobs,ph has different massage services. I made a bid today and I'll update you dearies asap on how the transaction went through. Easy and smooth navigation of the app. There are so many jobs to choose from. It's not only confined in the 'dirty jobs' jobs itself. I feel secured as the support team responds quickly if you have queries or they have to confirm something. There are three payment options to choose from like cash, credit card, or paypal. Dirty jobs ensures their customers that the service providers are legit business with permits registered from government offices. Get the things done at home especially if you have are too lazy to go out. For a stay-at-home mom like me, I would love to book some of household related services as it will give me a 'me time' at home. 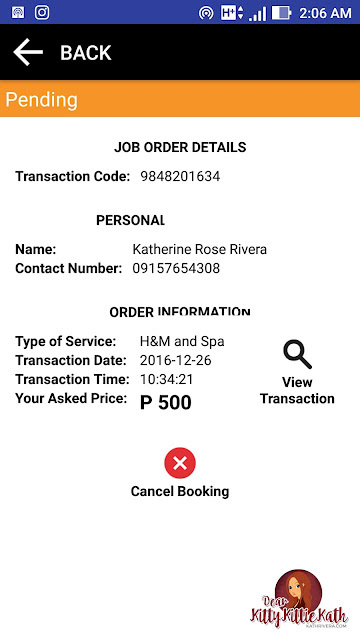 Ended my 2016 with a massage that I booked via Dirty Jobs PH App! 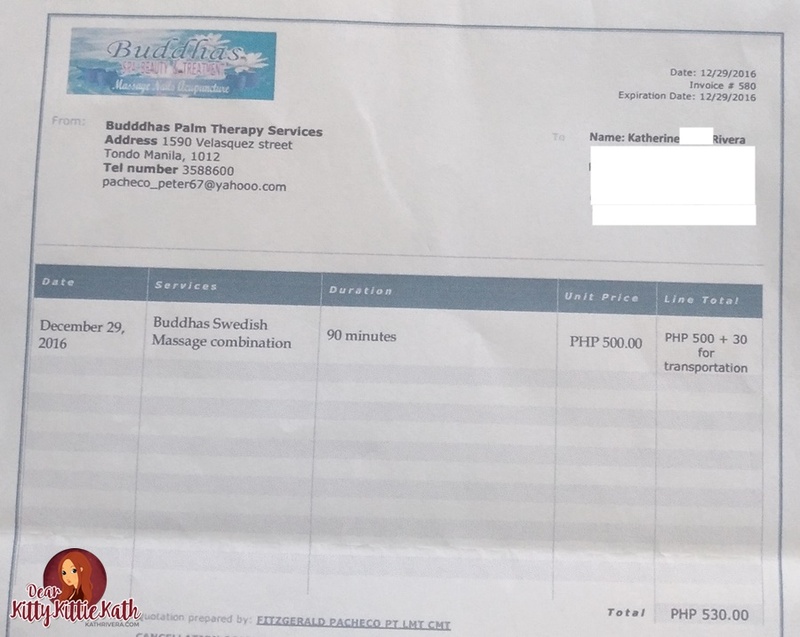 So happy that I was able to squeeze in some 'me time' with a relaxing swedish massage from Buddhas Palm Therapy Services. Super satisfied with my massage, thank you to my therapist Tin who came all the way from Tondo Manila.